Do you dream to stop thinking about your busy work schedule completely for a week and unwind and relax? Then it is time to go for a vacation. With so many fantastic choices, you may confuse where to go for a memorable vacation this time. For those who are unable to choose a great destination to spend a few days, they can plan their trip to Mussoorie. This destination has been a fantastic choice to visit be it a family vacation or honeymoon. Many people prefer to visit Mussoorie in winter months because they can see a completely new look of this tourist spot during this time. Each traveler will get mesmerized by its fairytale ambiance with spectacular views of the Shivalik Ranges and the Doon Valley. The fresh mountain breeze also makes you refreshed. 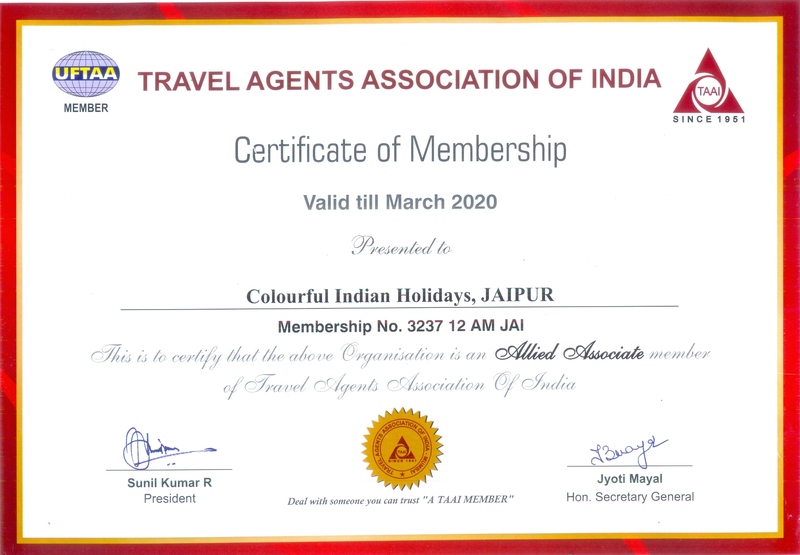 Approach Colourful Indian Holidays to design a customized tour package for you so that you can enjoy all its charms and indulge in the thrilling activities that this hill station has to offer. Mussoorie is not just a beautiful hill station, but it also signifies the royal past and grandeur of India. It is an amazing tourist spot located in the foothills of the majestic Himalayan Ranges. Many adventure lovers and mountain seekers find it heaven as it is a perfect place for them to spend a night under the sky full of stars. They love the idea of waking up in the morning while on vacation in Mussoorie to watch the elegant vistas of the snow-capped mountains. One of the great attractions of this destination is that it offers a lot for travelers to explore. From stunning waterfalls to captivating slopes, exploring this majestic hill station shall be a beautiful experience for each traveler. The rich green forests of this holiday hideaway are filled with deodar and cedar woods. Each traveler to Mussoorie will be in awe to explore its astonishing slopes which are blessed with eye-catching waterfalls and panoramic landscapes. 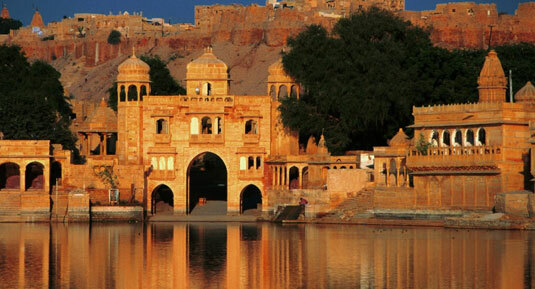 Sacred temples with amazing architecture are also a highlight of this hill station. There is a lot to explore in the alluring hill station of Mussoorie which is located in the foothills of the Garhwal Mountain Ranges of the Uttarakhand state. One of the great attractions of this tourist spot is that it offers all types of points-of-interest from natural to manmade attractions. Here are the most popular tourist places in Mussoorie. Blessed with breathtaking natural beauty, visiting the hill station of Mussoorie shall be a pleasant experience. This beautiful tourist spot attracts numerous tourists from across the globe every year. One of the most popular tourist attractions in this hill station is the majestic Kempty Falls. This picnic spot is situated at an altitude of around 1364 meters above the sea level surrounding by mesmerizing mountain cliffs and watching this waterfall shall be a treat to your eyes. 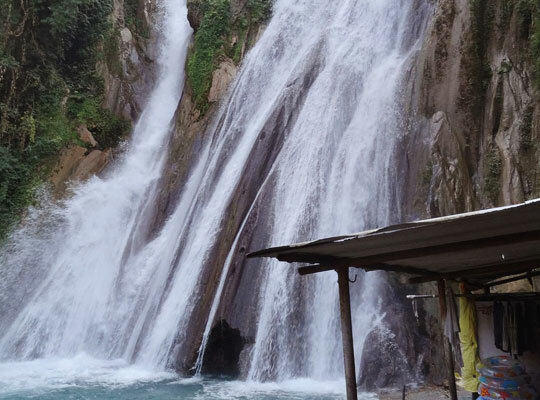 People who visit Mussoorie love to take a trek to this destination to enjoy the beauty of the falling waters. They love the fantastic experience of a trek through beautiful landscapes with rivers filled crystal-clear waters, terrace fields, and rich forests. If you are looking for a picnic spot ideal to spend some beautiful time with your family and friends in the midst of lush green surroundings, then the Kempty Falls is a great option for you. 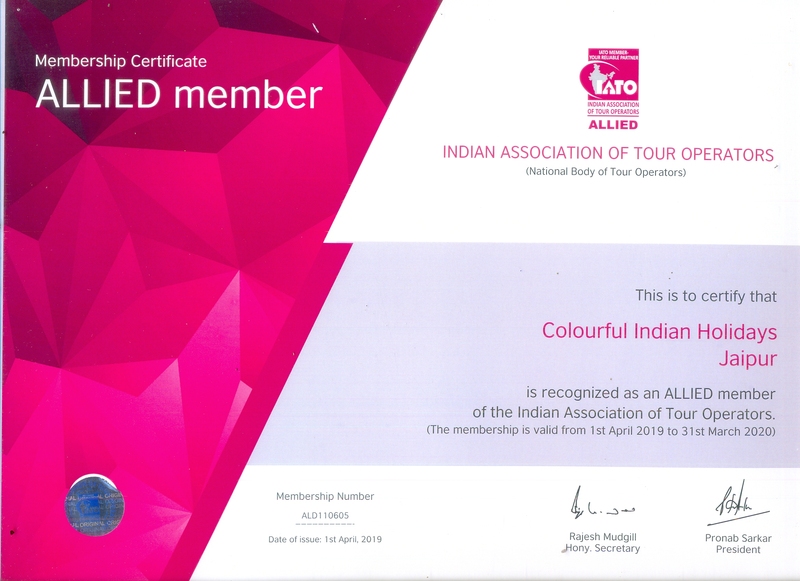 Your trek to this destination also covers some of the major tourist attractions in Mussoorie such as Jwala Devi and Malsi Deer Park. If you are a nature lover, you love to visit the alluring Lake Mist in Mussoorie. It is an ideal spot for a family vacation with children as they love to explore the scenic lake in a boat and watch the charm of the surrounding mountains. Natural waterfalls and stunning mountain streams are the prime attractions of this tourist spot. People who visit Mussoorie prefer to take a trip to the Lake Mist in the early morning to take a dip in the gushing waterfall. The sheer natural charm of this picnic spot certainly makes you in awe. Boating is the best way to explore this lake comfortably and enjoy its natural charm. Dotted with so many hills and waterfalls, exploring the beautiful hill station of Mussoorie shall be a mind-blowing experience. The experience of soaking in the beauty of the astounding Himalayan mountain ranges leaves you spellbound. 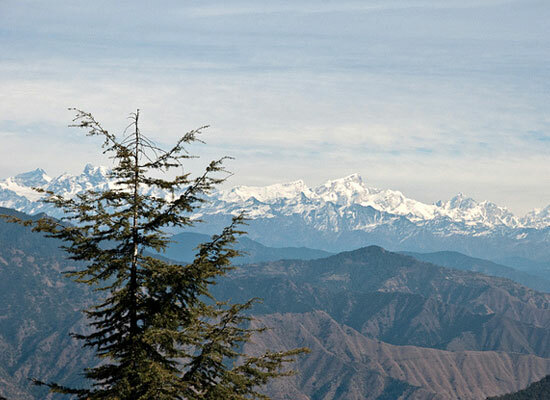 A trip to the Lal Tibba makes your Mussoorie holidays an unforgettable experience. You can enjoy fantastic views of the snow-capped mountain ranges of the Himalayas from this highest peak in Mussoorie. Visitors can enjoy the immaculate beauty of the mountains and the scenic surroundings with the help of the Japanese telescope installed in this place. Lal Tibba is a favorite spot for the tourists because of the panoramic vistas that it offers and the nearby pilgrimage centers, Badrinath and Kedarnath. It is also a great place to enjoy shopping. People love to visit this place again and again to experience its spectacular sunrise and sunsets that make each of them enthralled. Buddhist monasteries and Tibetan architectures always fascinate travelers from across the globe. The Shedup Choepelling Temple in Mussoorie is one such Buddhist monastery famous for its exquisite Tibetan architecture. It is also known for its prayer wheels, stunning interiors, beautiful lamps and awe-inspiring nature. It has a divine ambiance where visitors can feel a tranquil and peaceful vibe. Travelers who visit this place find it ideal to practice meditation. The most attractive feature of this temple is that one can enjoy amazing views of the green valleys and snow-capped mountains from this spot. Ensure to bring your camera so that you can take beautiful pictures to cherish the memories of your Mussoorie holidays for a long time. When in Mussoorie, you are very close always to so many beautiful waterfalls, and you may regret later if you miss any one of them. Mossy Falls is one of the most enchanting waterfalls in the hill station of Mussoorie. Unlike other popular waterfalls like the Kempty Falls and Bhatta Falls, this hidden treasure is less crowded and yet to be commercialized. It is a great place to spend some time with your family and friends away from the hustle and bustle of the busy city life. Even a walk to this stunning picnic spot makes you happy and refreshed. 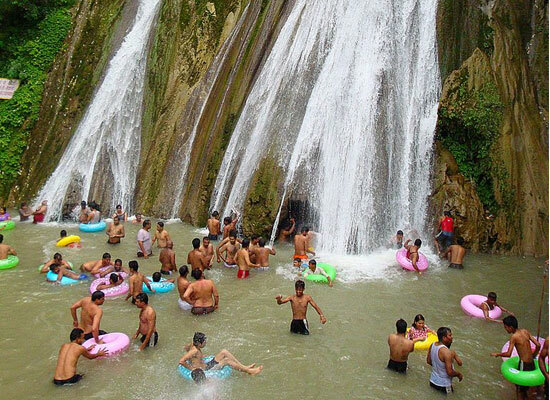 Mossy Falls is nearly 7 kilometers away from Mussoorie, and you can visit this picnic spot throughout the year. Try to carry your camera as this falls and its awe-inspiring surroundings give fantastic chances for nature photography. With astonishing landscapes, Mussoorie is a perfect spot to inspire the lost sparks of your life. 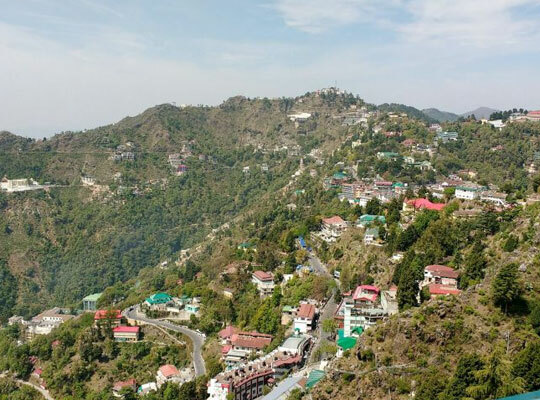 It shall be exciting to take a stroll through the beautiful lap of Mother Nature with your family or loved one during your holidays in Mussoorie. The Camel’s Back Road is a great choice if you wish to enjoy a walk in this destination. It is a 3-kilometer road which starts from the Library Point till the vibrant Kurli Bazaar. The place got this name because of the unique layout of the rocks here. The natural layout of them has the appearance of the camel bumps. 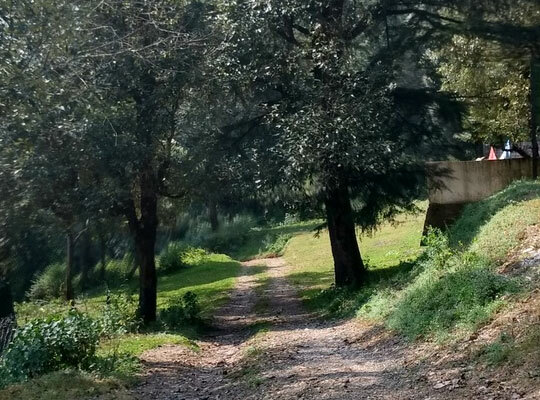 You can enjoy incredible views of the Doon Valley while you walk through this road. Many couples visit this place in the evening with some snacks to enjoy beautiful sunsets. 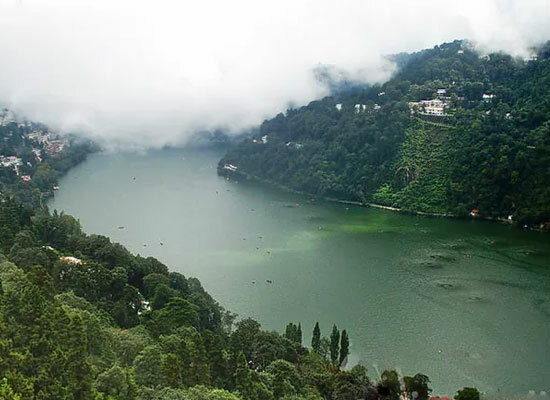 Mussoorie Lake is another great picnic spot in this hill station. Surrounded by verdant hills, travelers can enjoy blissful nature by visiting this artificial lake. Even if it a manmade lake, the authorities in this region developed it as a fantastic picnic spot. Both the locals and tourists admire the beauty of this lake alike. They love to enjoy a bit of boating while they come here for the picnic. The eateries are another attraction of this place which serves delicious dishes. Ideal for boating, each traveler to Mussoorie plans to paddle their way through it to enjoy beautiful vistas. Ensure to capture some beautiful pictures in your camera so that you can remind this picnic whenever you look at them. 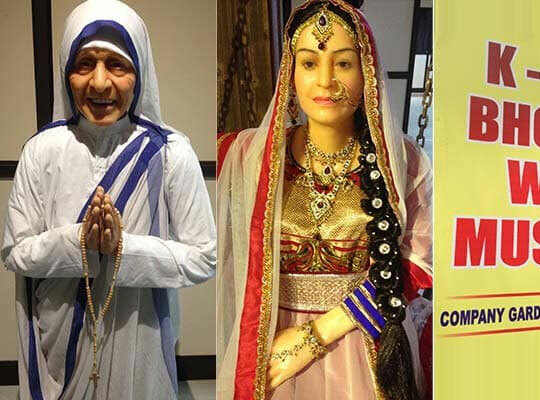 Another must-visit place in Mussoorie is the K Dev Bhoomi Wax Museum where you can watch the wax statues of many famous personalities. Located in the Company Garden, this museum is a small Indian version of the renowned Madame Tussauds. Since it is a small museum, not much time is required to watch all those wax statues in it. You can see statues of some famous national and international personalities like Mahatma Gandhi, Michael Jackson, Hitler, Leonardo di Caprio, and Angelina Jolie in this place. 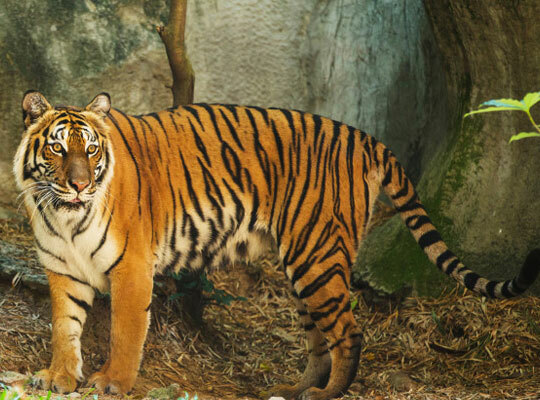 With so much leisure and adventure, the Benog Wildlife Sanctuary is another great sightseeing spot in Mussoorie which is a part of the famous Rajaji National Park. If you are an avid bird watcher or a wildlife enthusiast, then you must visit this place while you are holidaying in Mussoorie. Visitors can spot many rare and exotic flora and fauna in this sanctuary. It is a paradise for bird lovers as they can spot several indigenous birds in this sanctuary such as the White Capped Water Redstart, red-billed blue magpie and the mountain quails. Some of the wildlife that you can see in this picnic spot includes the leopard, panther, Himalayan goat and bear. Vinog Mountain Quail Sanctuary, which is home to the Pahari Quail, is also a part of this sanctuary. The mind-blowing vistas of the snow-capped Bandarpunch and Chaukhamba peaks also make it a popular tourist destination in Mussoorie. People are allowed to visit this sanctuary from 7 am to 5 pm every day. You need to travel around 11 kilometers from the Library point to reach this picnic spot. Get some happy memories of your Mussoorie trip by visiting the Happy Valley. It is a popular destination in this hilly region which is home to the renowned IAS Academy and the Municipal Garden. 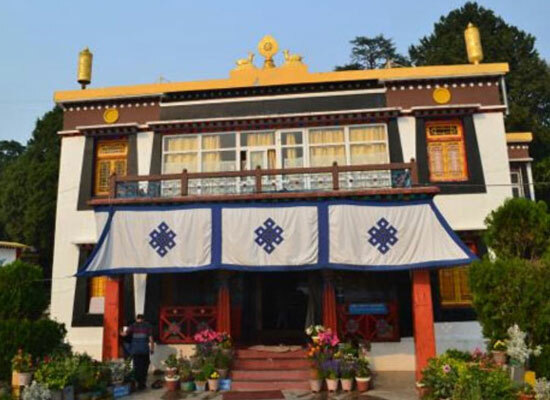 Besides, this region is also blessed with several elegant Tibetan temples. Located on the western side of the Library point, it shall be a lovely experience to walking around this scenic place. 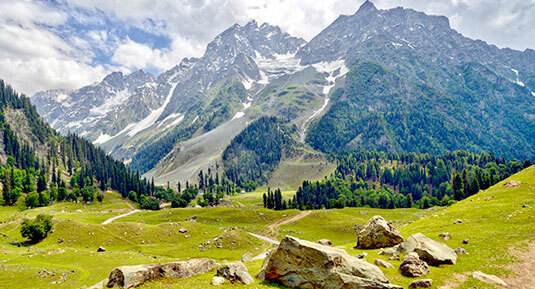 This picturesque valley is an unavoidable part of the culture of this alluring hill station. Ensure to visit this picnic spot for some happy and fond memories of your Mussoorie holidays. Home to many enchanting waterfalls, the marvelous hill station of Mussoorie is blessed with several beautiful relaxation spots. Jharipani Falls is such a captivating picnic spot in this hilly retreat that enhances its scenic beauty. Visitors can enjoy grand vistas of the nearby Shivalik Range from this spot. The surroundings of this waterfall are also beautiful with forested hills, tranquil nature and the presence of several creepers, shrubs and wildflower species. 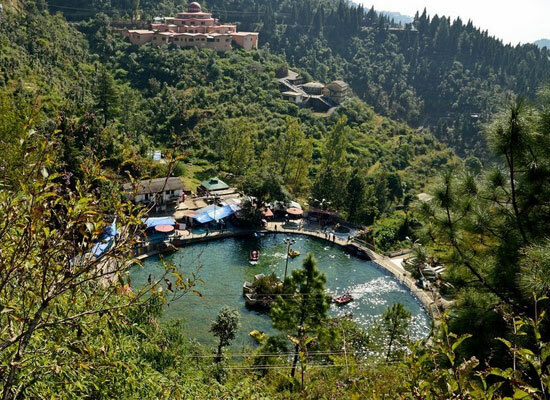 This delightful tourist spot is almost 7 kilometers away from Mussoorie located in the serene Jharipani village. 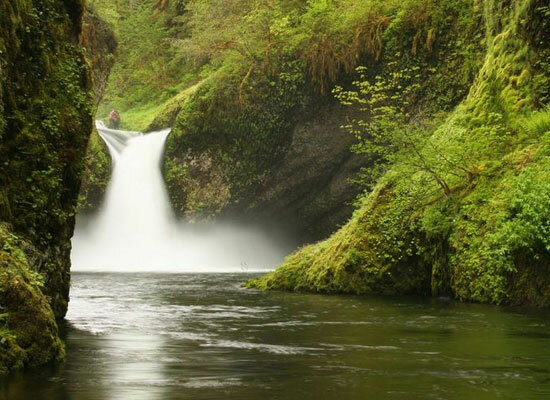 Visit this picnic spot to enjoy the beauty of this waterfall and spend some quality time. Holds the credit of the second highest peak in Mussoorie, you can enjoy splendid views of this hill station from Gun Hill. 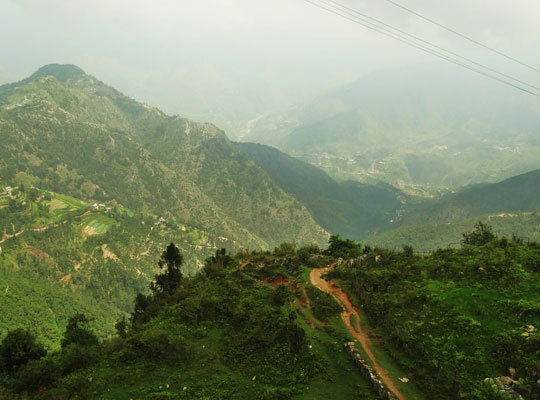 Each traveler to Mussoorie ensures to add this picnic spot in their travel itinerary as it offers a fantastic 3600 view of the ice-capped Himalayan Peaks such as the Gangotri group, Pithwara, Bunderpunch, and Srikantha. A cable car ride is the best way to enjoy the natural beauty of this destination. One of the great attractions of Gun Hill is that it is easily accessible. Travelers can reach this spot from the Mall Road within a 20-minute walk. They love to watch the beautiful sunsets at this place while relishing some hot tea and snacks. Remember to carry some woolen clothes while you visit this place. Visiting the temples and pilgrim sites makes your trip to Mussoorie more interesting and memorable. 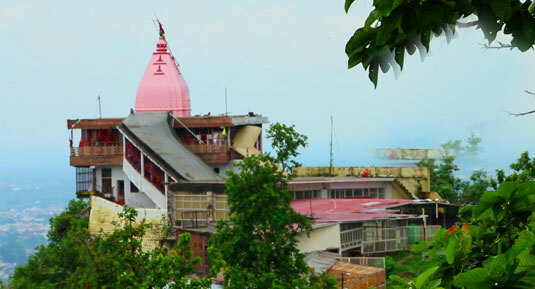 Jwala Devi Temple is a must-visit pilgrim site in this hill station dedicated to Goddess Durga. 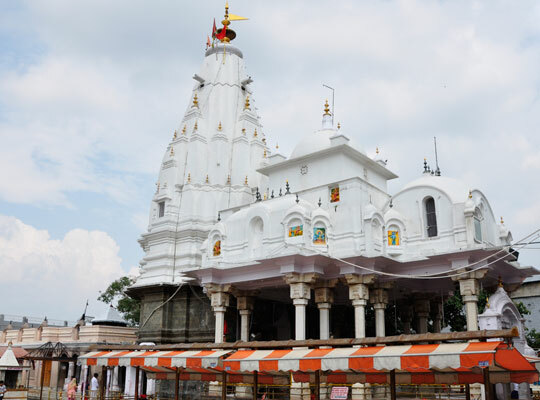 Also known as ‘ Jwala Ji Temple’, it is nestled amidst the lush greenery of the captivating Benog Hill. This ancient temple is located at an altitude of around 2100 meters above the sea level surrounded by thick forest. 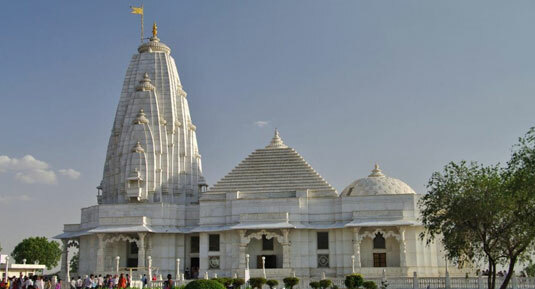 The peaceful and tranquil environment of this temple gives a refreshing feeling to its visitors. You can get beautiful views of the Shivalik Range from this spot. This temple is almost 8 kilometers away from the Mussoorie. Watching the charismatic views of Himalayan Mountain Ranges shall be a pleasant experience for each traveler to Mussoorie. Dhanaulti is a captivating place in this hill station nestled at an altitude of around 2286 meters above the sea level ideal to watch the majestic charm of the Himalaya. A simple, laid back town, you can find several beautiful attractions in this region. 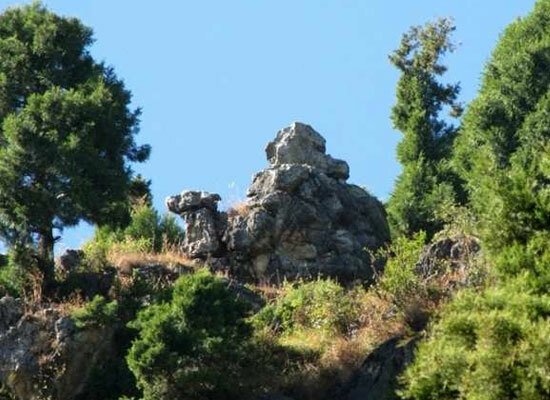 A 16th-century fort is the prime attraction of Dhanaulti. 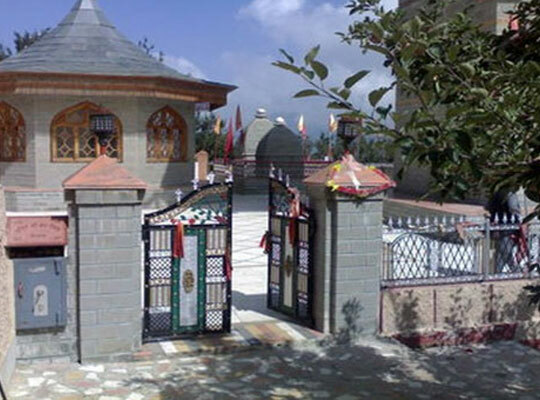 The Surkanda Devi Temple and Dashavatar Temple also attract travelers. This destination also houses a government-initiated potato farm worth visiting. Amber and Dhara are two beautiful eco parks in Dhanaulti. A trip to this destination also gives you the chance to enjoy a few gorgeous waterfalls like the Barehipan and Joranda Falls. People who visit Dhanaulti ensure to visit the renowned Simipal National Park for a refreshing travel experience. Serene and tranquil, Dhanaulti is a must-visit destination that certainly makes your trip to Mussoorie an unforgettable one. Exploring the snow-capped mountains and watching the stunning waterfalls of Mussoorie certainly soothe your senses and make you feel young within. But you can do many other things during your trip to this hill station apart from exploring its natural attractions if you head to the vibrant Mall Road. It is a fantastic place to indulge in some thrilling activities and relish in some delicious street foods. This place gives a deep idea about the alluring hill station of Mussoorie. In addition to a major attraction in Mussoorie, the Mall Road is a great shopping area as well. You will be delighted to explore the shops in this destination which sell from electronic goods to ethnic fabrics. 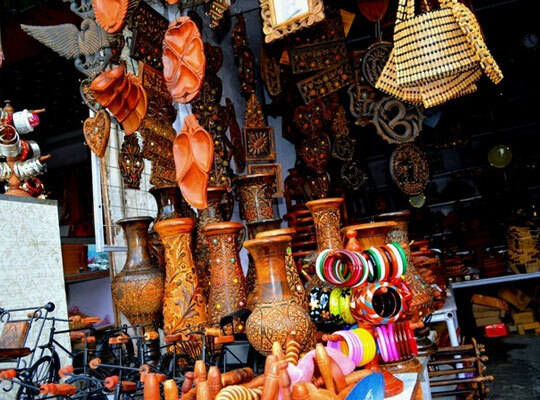 People love to buy artifacts, handicraft items, gifts and souvenirs to take to their home. You can buy so many beautiful items from these shops suitable to decorate your home. Try to learn the art of bargaining before you visit this market. The Company Garden is one of the most beautiful picnic spots in Mussoorie which is maintained by the Municipal Corporation of this city. 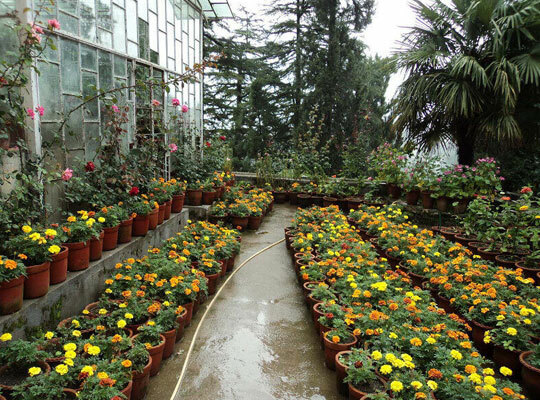 Surrounded by mesmerizing mountains, this beautiful garden is almost 3 kilometers away from the Mall Road. It is a favorite hangout for all types of people irrespective of their age. Everybody can find one or other option to make their trip to the Company Garden fun-filled. The eye-catching flower beds in different colors certainly a treat your eyes. Kids love to spend their time in the amusement park in this garden. The beauty of this park is enhanced by gorgeous waterfalls. After exploring the garden and indulge in different activities, you can enjoy some local delicacies at the food court of this picnic spot. 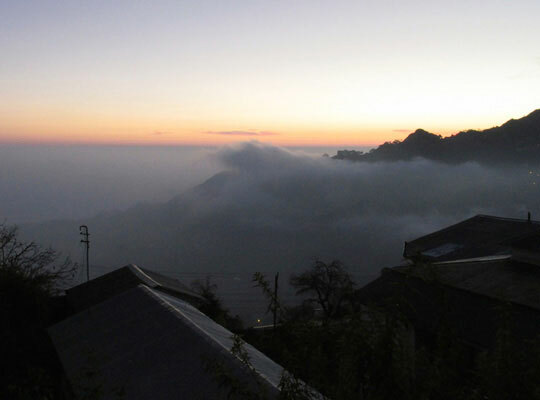 The Clouds End is another beautiful place to visit in Mussoorie which draws travelers with its scenic nature. Surrounded by forests of Deodar and Oak trees, the green environment and serene ambiance are the highlights of this picnic spot. It is a great spot to enjoy jaw-dropping views of sunrise and sunsets. Travelers can visit this spot anytime because of its pleasant climate throughout the year. An old architecture marvel turned heritage hotel is another attractive feature of the Clouds End. 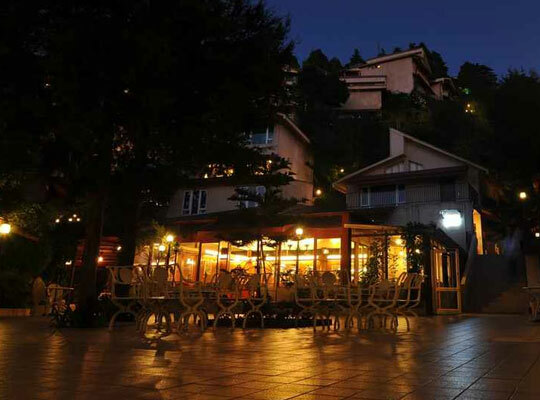 You can feel the old world charm if you choose this hotel to stay during your Mussoorie holidays. Indulge in some activities like nature walks and hill climbing to make your trip to this picnic spot more enjoyable. When it comes to spirituality and divinity, there is no state in India like the Uttarakhand. Popularly known as the ‘Devbhumi’, this state is blessed with several sacred temples. Nag Devta Temple is one such temple located on the Mussoorie- Dehradun road almost 6 kilometers away from the city center. This temple decorates attractively during the Nag Panchami, and it becomes crowded at this time. Devotees visit this temple on a huge scale during this festival to be a part of it and to witness different rituals related to it. They offer milk to snakes on this day without any fear. Devotees believe that Lord Shiva himself visit this temple during the event of Nag Panchami in the form of snakes to bless them. Visiting this temple shall be a blissful experience for each traveler to Mussoorie. Mussoorie offers plenty of thrilling activities for its visitors from sightseeing to indulge in adventure sports. In fact, it is among the best adventure destinations in the country. Numerous adventure junkies and thrill seekers visit this hill station every year to enjoy some adrenaline-rushing activities and rejuvenate their body and soul. Keep yourself entertained with the following thrilling activities to make your holidays or honeymoon in Mussoorie an unforgettable one. Mussoorie, one of the stunning hill stations in India, is not just beauty itself but it also offers fantastic adventure experience to its visitors. The high peaks of this destination help adventure seekers to explore its charm and grandeur. With different height zones from 50 ft to 600 ft, the terrain is perfect for both professionals and amateurs alike. 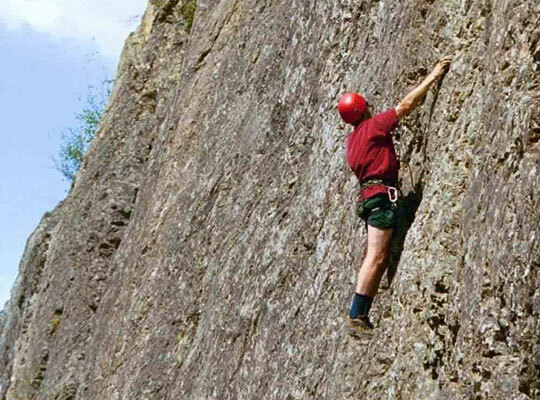 Rock climbing in Mussoorie also offers you the chance to enjoy the tranquil surroundings of the zone. The breathtaking views that you could get while climbing would be extremely pleasing. 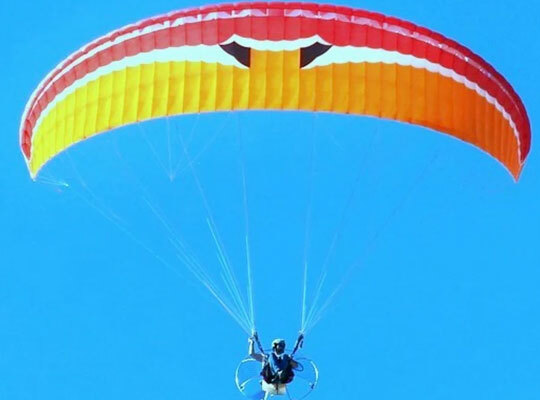 Delight your adventure spirit by opting for a bit of paragliding in Mussoorie. The jaw-dropping landscapes and unique topography of Mussoorie make it an ideal destination for paragliding. You can find many paragliding points in this hill station with different heights and cost. If you are interested in this activity, you can choose a suitable point based on your body strength. The well-trained instructors and professionals in this field ensure your safety and help you to enjoy this activity completely. With the right blend of serene nature and excellent adventure activities, Mussoorie is an ideal destination for thrill seekers. The grand mountainous surroundings of this hill station are perfect for many outdoor activities to make your trip amazing. The Gun Hill is more a scenic place than an adventure spot in Mussoorie and the best way to admire its beauty is to opt for a cable car ride. The cable car ride is a fine way to enjoy the panoramic views of the Himalayan Mountain Range and several other elegant attractions. 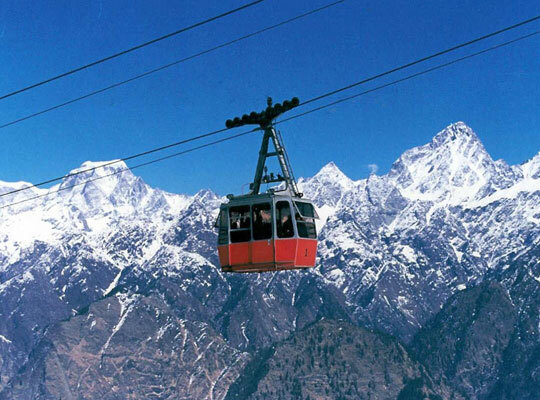 Include the ropeway trolley experience in the bucket list to enjoy the bird’s eye of Mussoorie. People love to visit places filled with natural beauty, and the state of Uttarakhand is full of such marvelous places. Those who visit the awe-inspiring hill station of Mussoorie do not forget to take a nature walk to admire its matchless beauty. You can find so many diversions for taking interesting strolls from the Mall Road area which help you to be with nature. Some of the popular places in this hill station ideal for nature walk include the George Everest, Cloud End, Hathipaon and the Landour. Mussoorie is a wonderful place to enjoy the grandeur of the Himalayan Mountain Ranges and trekking is the best way to experience it. This destination is blessed with exquisite landscapes ideal to enjoy this adventure activity. Each traveler to this hill station prefers to experience a bit of trekking to explore its elegant nature. 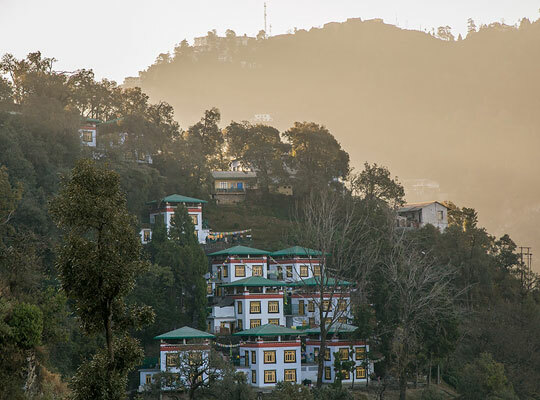 Mussoorie is ideal for both beginners and experienced trekkers. 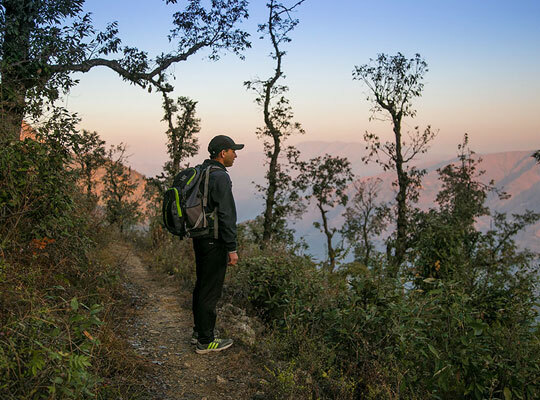 Some of the popular trekking destinations in Mussoorie include the Nag Tibba Summit, Yamunotri Saptarishi Kund Trek, Har ki dun trek, Bhadraj Temple trek and Dodikal trek. Make your Mussoorie holidays more thrilling by include trekking in your bucket list of must-do-activities. Excellent adventure escapes are a highlight of Mussoorie and people who visit this hill station love to enjoy different thrilling activities. 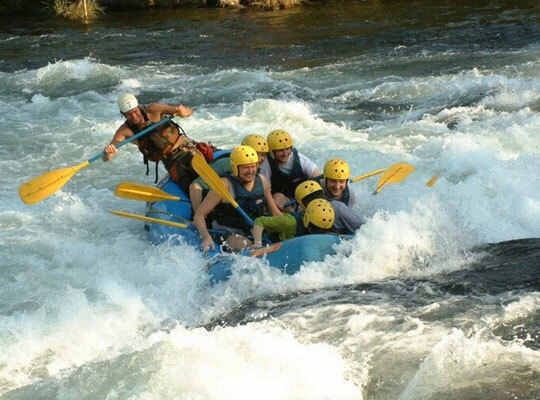 River rafting is a must-do activity that you can enjoy while you are holidaying in this destination. Mussoorie is blessed with a few swift moving rivers that flow through beautiful landscapes such as mountains, rich forests, rocky terrains, and snowy slopes. Rivers like Kali, Alaknanda, and Dhauliganga offer stimulating rapids. Some of the rivers in this hill station like the Yamuna River and Aglar River offer the chances for trout fishing. 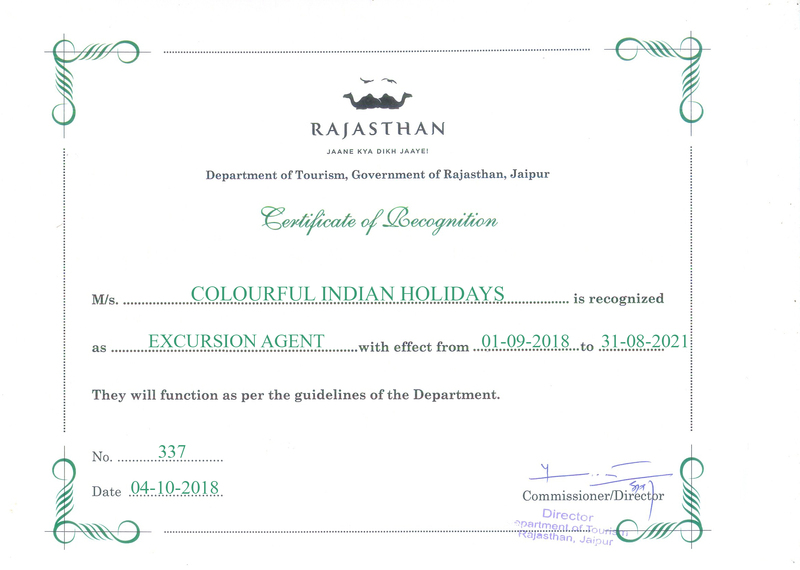 For enjoying this activity, travelers need to take prior permission from the Divisional Forest Officer. Rafters can enjoy this activity throughout the year, but monsoon is not good for river rafting. Being home to the largest rink for roller skating, Mussoorie is a perfect destination to try roller skating. It is one fun-leisure activity that you do not miss during your holidays in Mussoorie. This competitive sport is also a great exercise form and enjoying a bit of roller skating help you to refresh. 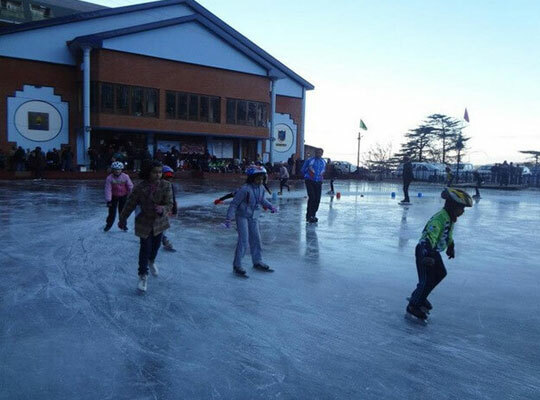 There are several fantastic rinks in this hill station to enjoy this activity. Your vacation in Mussoorie will not be completed without enjoying a bit of shopping. This hill station is not a great shopping destination, but still, travelers can buy many fascinating things from here. The main things that you can see in the shops of this hill station include woolen apparels, wooden items, lamps, and home decor items. Some of the popular shopping streets in Mussoorie are the Mall Road, Tibetan Market, Library Bazaar, Kulti Bazaar, and Classic Emporium. Mussoorie is among the most popular tourist destinations in the Indian state of Uttarakhand which draws travelers with its panoramic nature, colonial charm, mountainous landscapes, elegant churches and thrilling activities. Travelers can visit this hill station throughout the year. Choose one of the carefully designed Mussoorie packages of the Colourful Indian Holidays to enjoy the best of this destination.